There is a name that's synonymous with 'the world's finest lenses' - and that name is Nikon. When you select Nikon lenses you see your world through some of the finest spectacles lenses available, produced by one of the world's leading lens innovators. Our aim is to provide the ultimate in lens quality, service and support, to ensure complete satisfaction with Nikon ophthalmic products. So, to see your world at is best, choose Nikon lenses today. We will always make sure that the lenses go into your glasses are the best available and to your budget. At Chelmer Village Opticians, we keep up to date on all Nikon lens advances so that we can provide you with the best advice and guidance when it comes to choosing the lenses for your glasses. We are confident that you would find it hard to find a more complete, informative and competent dispensing experience in Chelmsford and Essex. Progressive lenses are the best option to correct presbyopia. Our Nikon lenses allow a wide range of options that will deliver superior optical performance, better aestheics and comfort; all within a single lens. BEST FOR: Current progressive wearers seeking maximised visul comfort. BEST FOR: Progressive lens wearer who use digital devices. BEST FOR: First time progressive lens wearer. BEST FOR: Computer and digital device users. 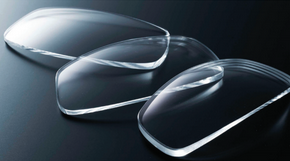 For further information on our NIKON Optical Prescription Lenses, please contact call us on 01245 461 843 or send an email to info@chelmervillageopticians.co.uk.